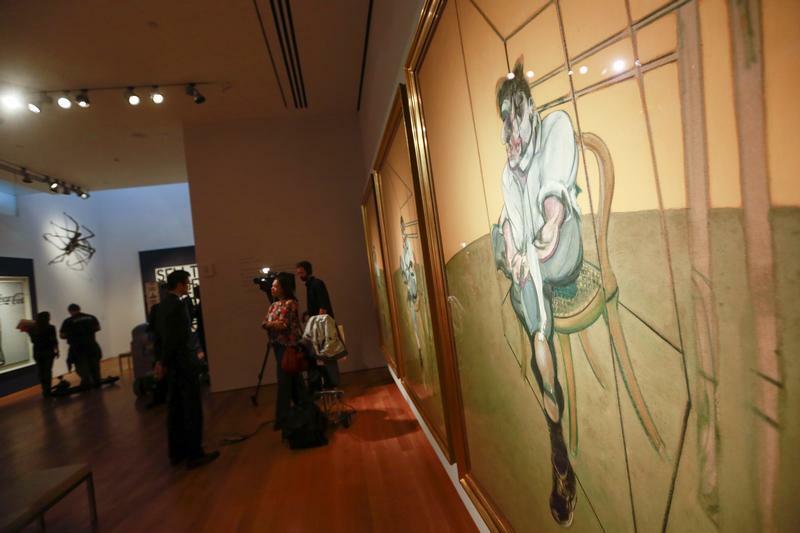 The record-busting $142 million sale by Christie’s of Francis Bacon’s triptych of Lucian Freud on Tuesday – not to mention the unprecedented New York auction total of almost $700 million – shows a contemporary art market in heady territory. It’s possible, if a tad tenuous, to extract a matching trio of lessons for the broader world of finance. First, the whole can be worth more than the parts. Investor preferences as to corporate breadth versus focus change over time. But in art, the adage holds. After a 1970s breakup, the three slices of Bacon’s work were reunited. The result was a new auction record, surpassing the $120 million paid for Edvard Munch’s “The Scream” last year and the previous $86 million record for a Bacon, another triptych, set as the financial crisis was quietly taking hold in the spring of 2008. Second, scarcity brings pricing power. Bacon wasn’t that prolific, and even he judged his triptychs to be among his best works. His rivalry-friendship with fellow artist Freud makes the subject matter interesting. And Christie’s says there’s only one other full-length Bacon triple portrait of Freud extant, with the three sections of a third such work now permanently scattered, including in museums in Israel and Iran. Bacon is dead, too. The auction record for a living artist, also set on Tuesday night, was a mere $58 million for Jeff Koons’ “Balloon Dog (Orange).” For artists still working, even the trendiest of them, a discount is a fact of life. Lastly, the rich really are getting richer. Rising inequality is one contributing factor. Another is easy money delivered by central banks, which pushes up asset prices, ensuring the wealthy feel even better off, while making interest rates on financial holdings unattractive, encouraging investment in things like paintings. There are more and more potential buyers for multimillion-dollar artworks. Seven bidders chased the Bacon, according to the New York Times. The Christie’s sale bears out hedge-fund activist Dan Loeb’s contention, in criticizing strategy at Sotheby’s, that contemporary art is where the plutocratic action is. On Wednesday the Christie’s rival is selling a giant Andy Warhol car crash painting, the only one of a series of four still in private hands, estimated at up to $80 million. Sotheby’s will want the Warhol, along with the rest of its lots, to prove it has enough clout in contemporary art to keep Loeb at bay. The Nov. 12 sale of post-war and contemporary art at Christie’s in New York achieved total sales of $691.6 million, the highest ever total for an auction. Among the highlights was a $142.4 million winning bid for Francis Bacon’s “Three Studies of Lucian Freud” – a new record for a single work of art. Sotheby’s will also hold a contemporary art auction in New York on the evening of Nov. 13.